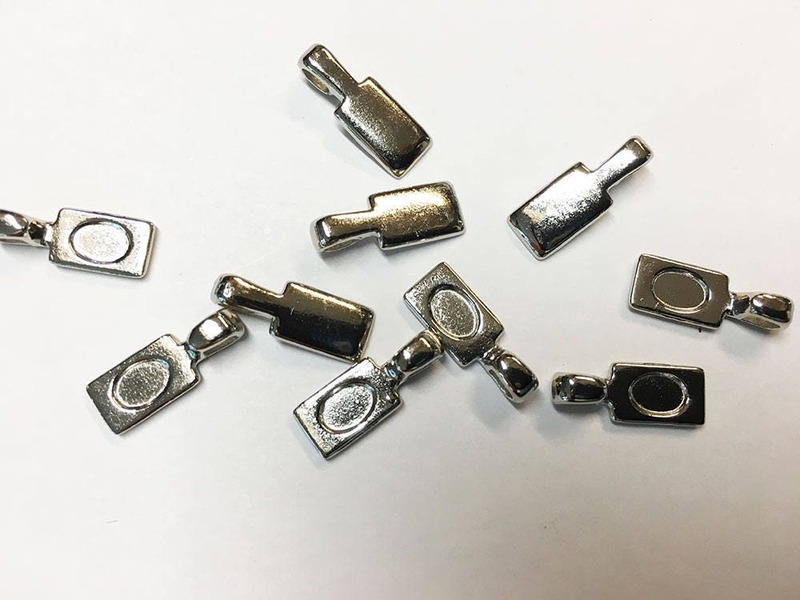 10 Silver tone glue on bails, approximately 17x6.5x4.3mm, white plated base metal cast small rectangle bails for glass drop gluing. Plated over zinc. Accommodates drops 2.5mm or thicker. For best results, use 2-part epoxy to affix items to bail. Designed with an offset loop to balance heavy items such as glass or gemstones. Fits chain or cord up to 2.7mm.